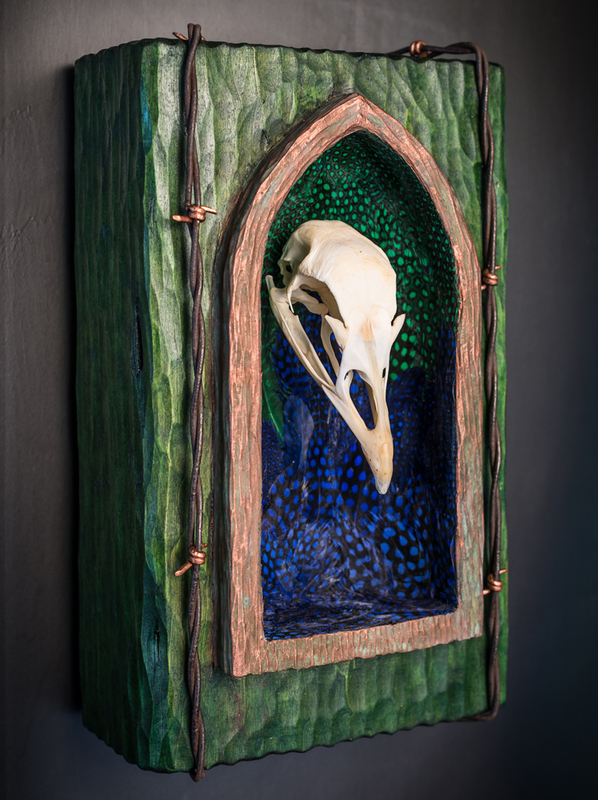 Influenced by Native American feather baskets I saw in the Denver Art Museum a few winters ago, the niches in my recent reliquary series are “feathered” with real feathers. 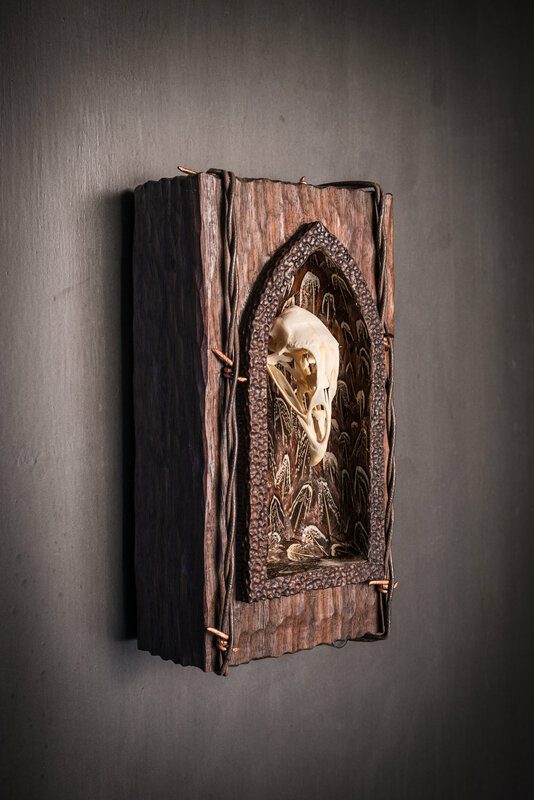 My obsession with old barbwire continues to weave itself into the art along with a life-long fascination with animal skulls. The “Neruda Series” is sculptures titled with lines from Pablo Neruda’s love poems.